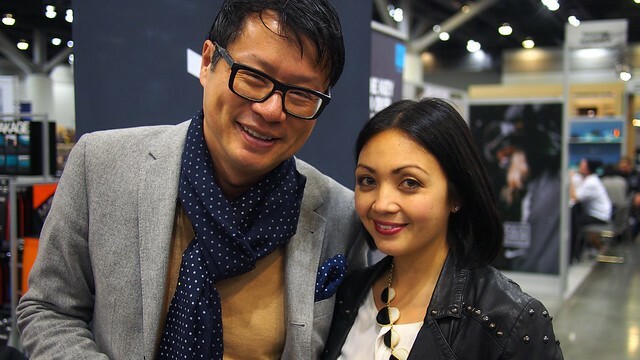 KnowShow FW15 lifestyle and fashion trade show at Vancouver Convention Centre West on January 15, 2014. As seen in Vancouver Is Awesome. 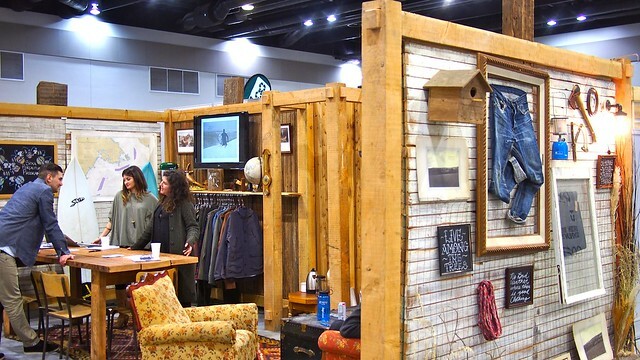 #SurviveWinter at Sitka's wooden surf, skate, and apparel enclave at KnowShow. 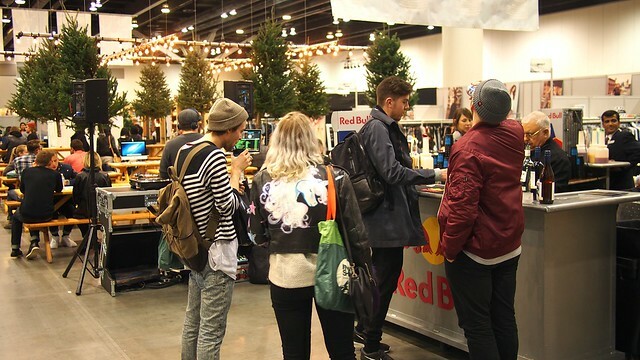 The Red Bull media lounge. All-stars, man about town Fred Lee and publicist Malania Dela Cruz. 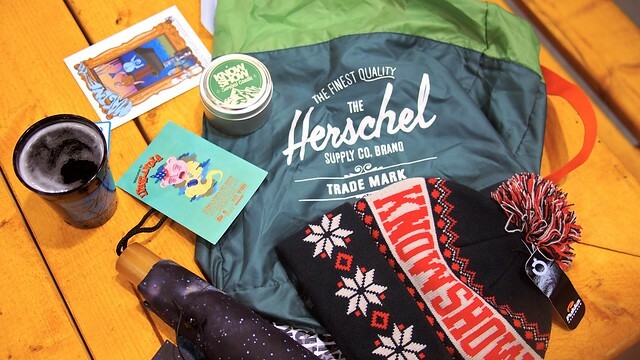 A winter survival kit featuring a Pukka toque, Westerly Goods branded umbrella, Beaver Wax candle, and Herschel Supply Co. bag. Live art wall from artist Don Pendleton and KnowMag. 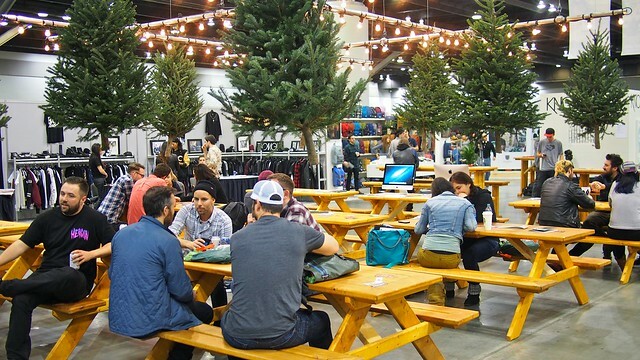 Socializing amidst hanging trees over picnic tables.